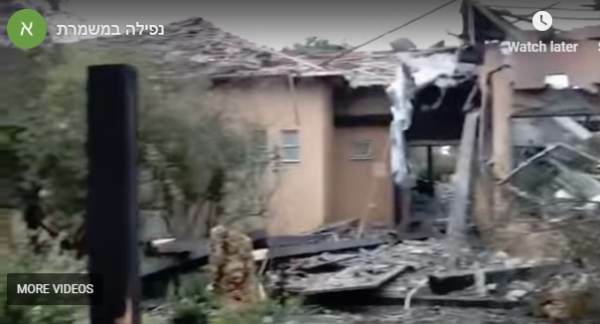 A rocket fired from Gaza early Monday morning hit a home in Moshav Mishmeret in the Sharon region. The IDF announced that one rocket was launched from Gaza. Israel claims is was a Hamas attack. But Hamas reportedly denied the attack. Prime Minister Benjamin Netanyahu is meeting with President Trump today in the White House. Via Israel National News — Magen David Adom reported that seven people were injured, among them a 60-year-old woman in moderate condition with shrapnel wounds and burns, a 30-year-old woman in moderate condition with shrapnel wounds and five people who were lightly injured.